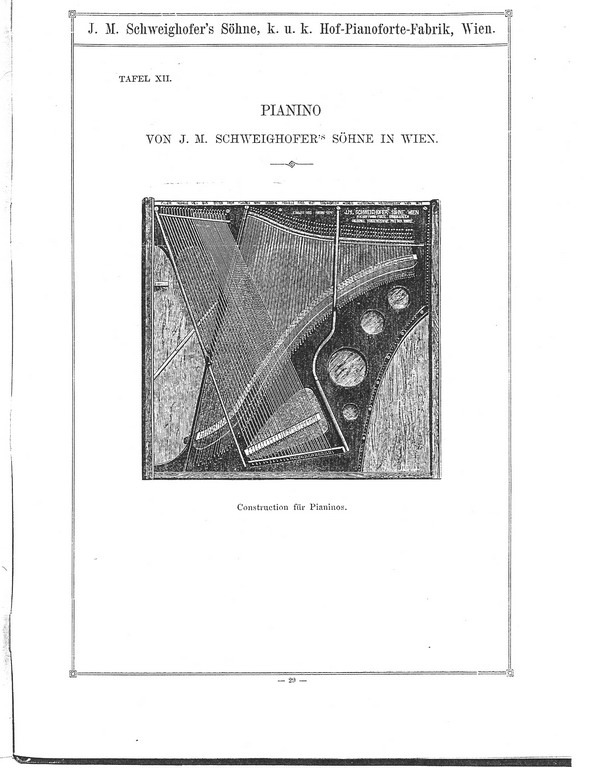 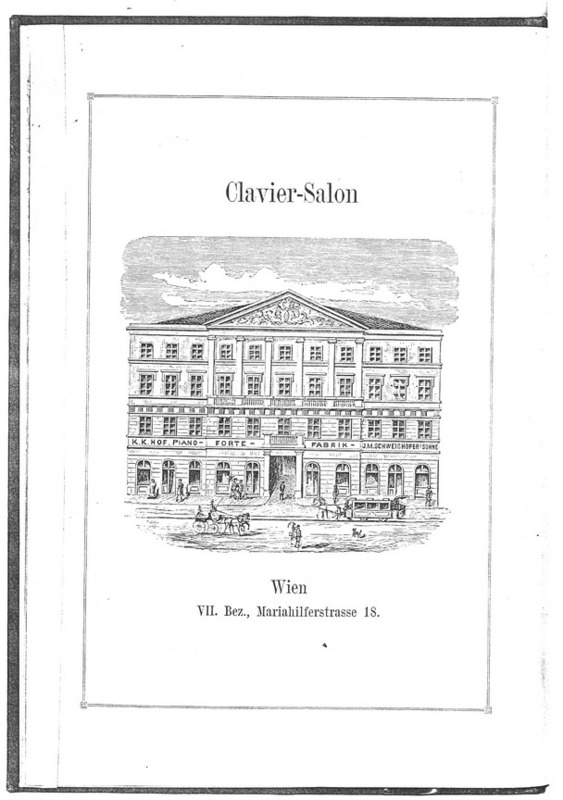 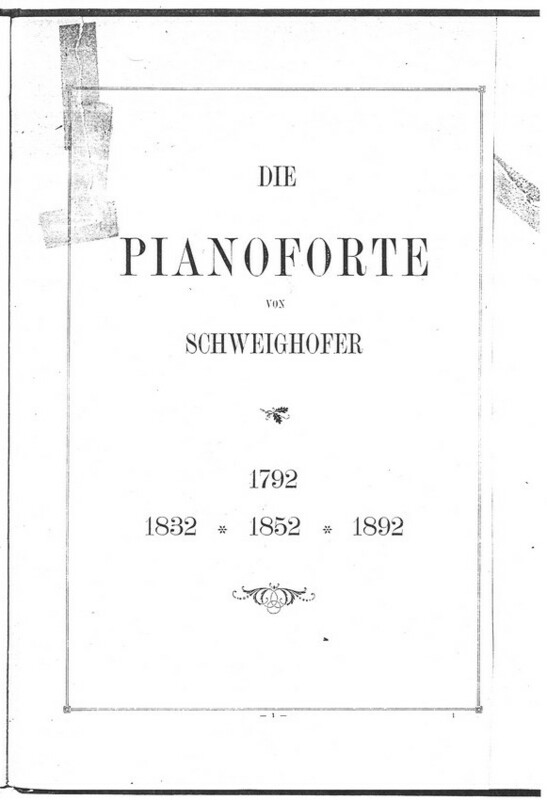 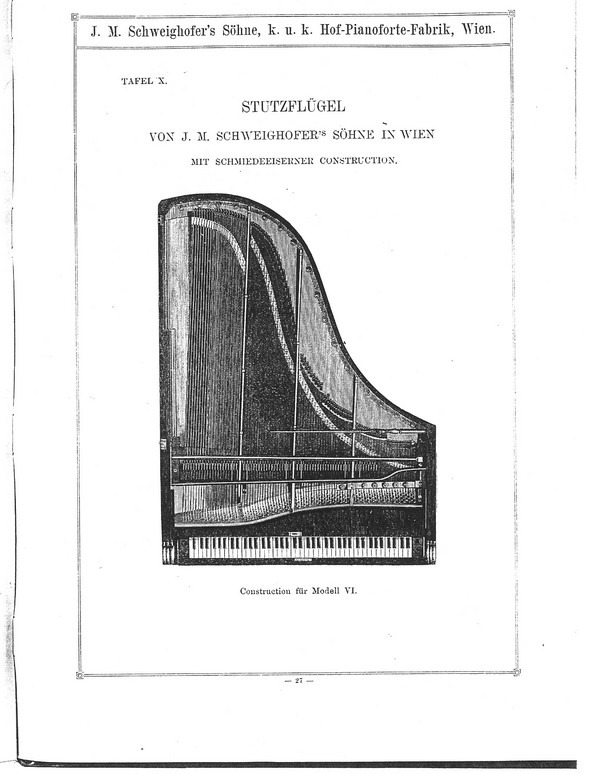 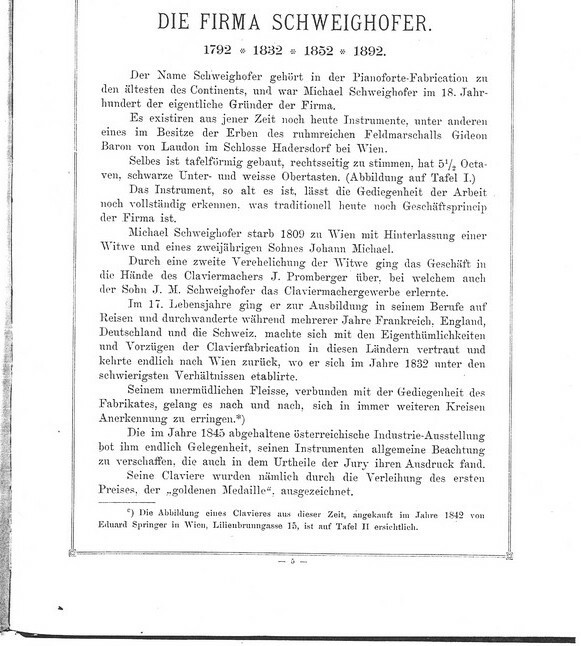 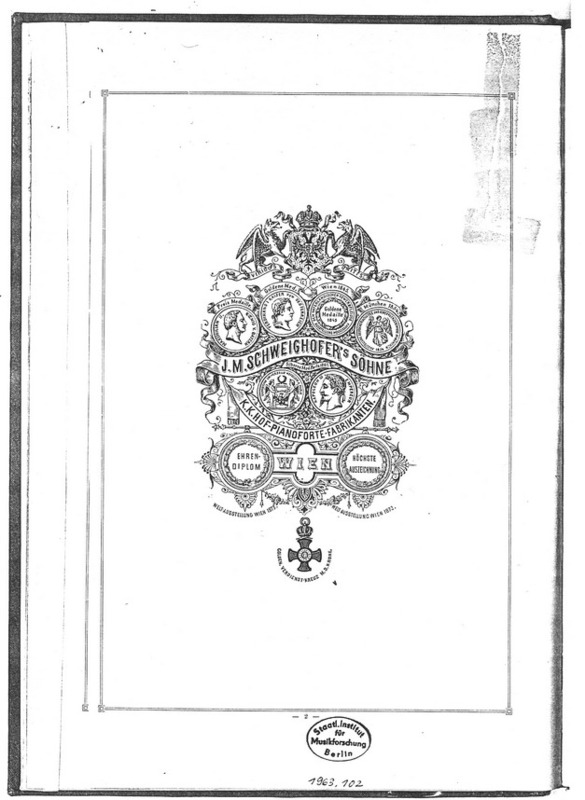 · SCHWEIGHOFER · 1892 · CATALOGUE · . 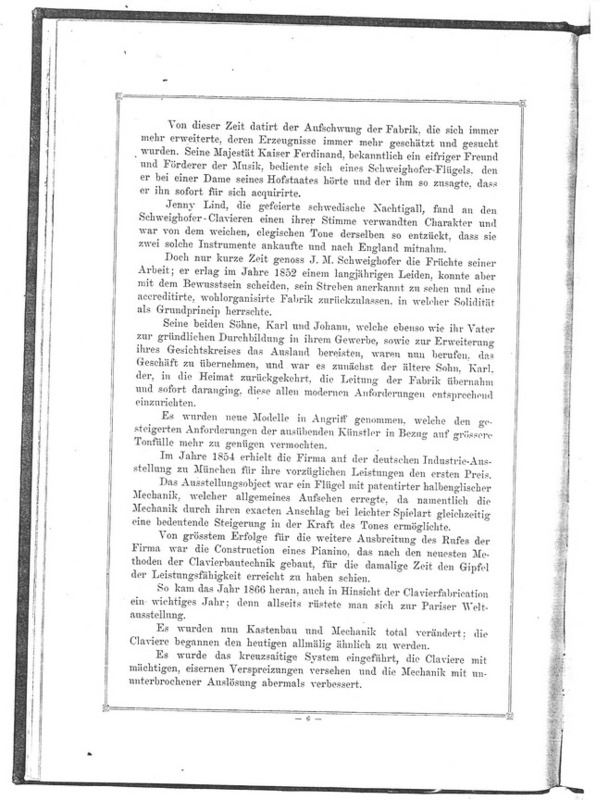 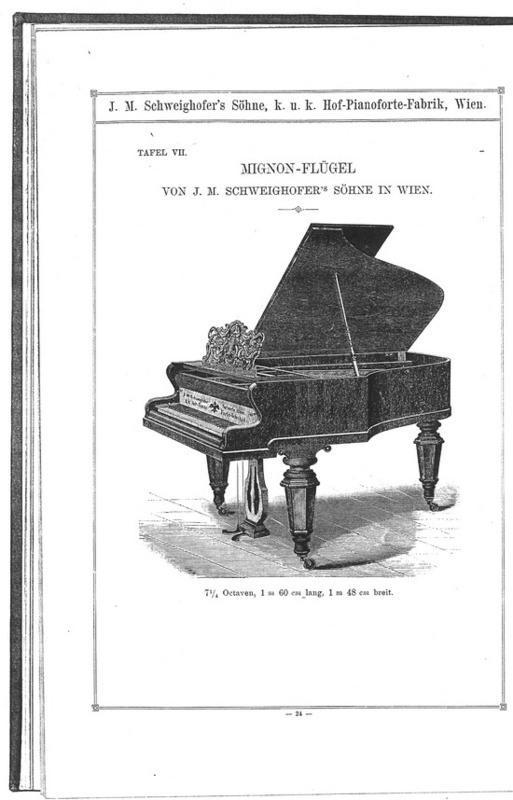 These are images from the Schweighofer 100-year Jubilee Catalogue (published in 1892). 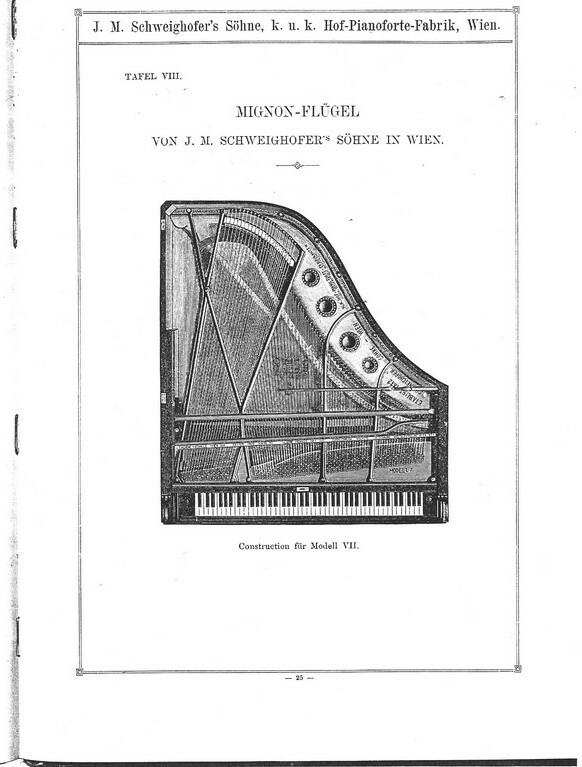 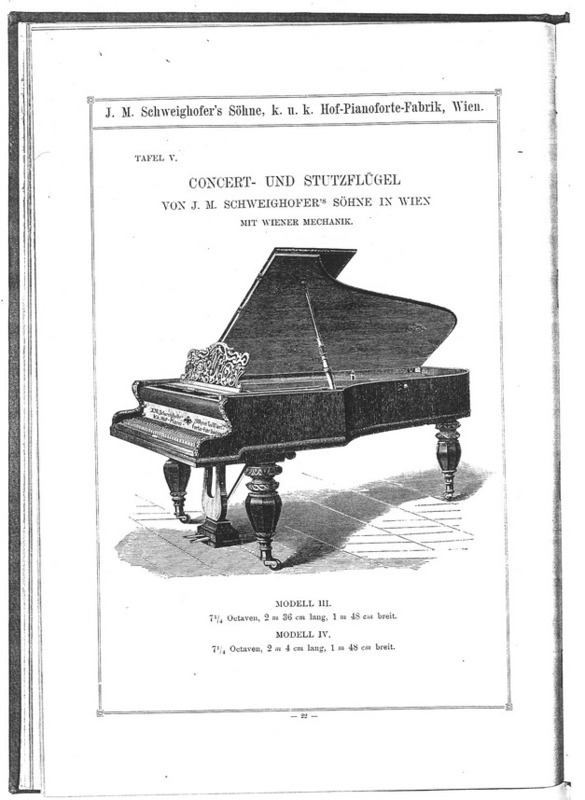 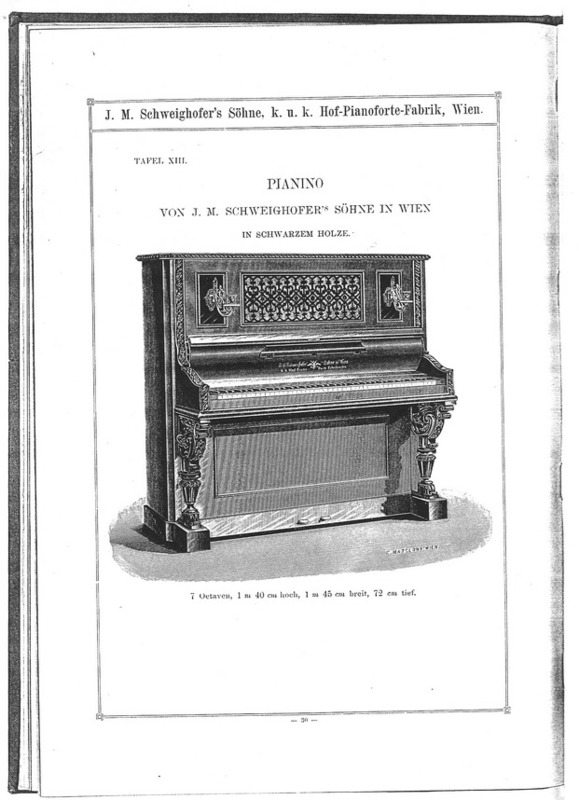 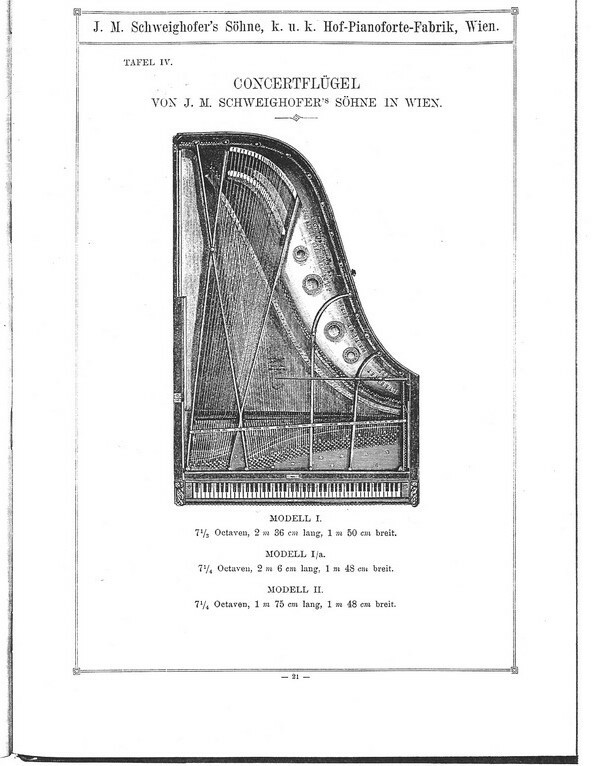 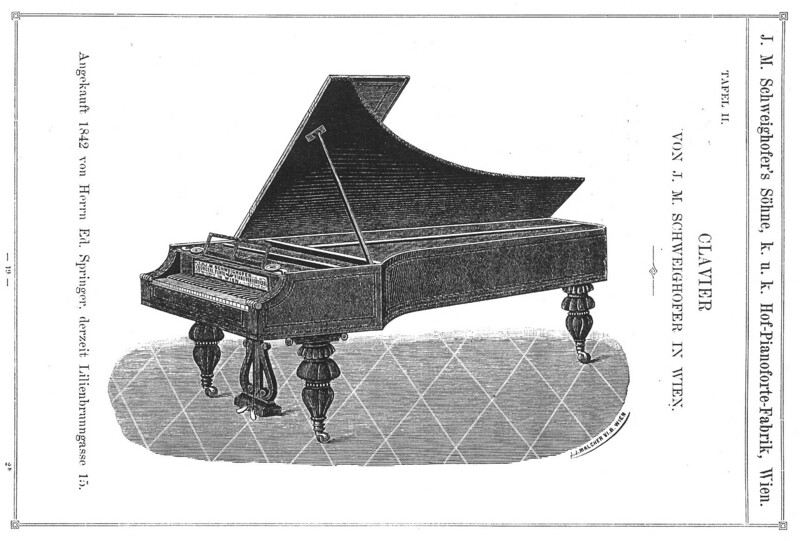 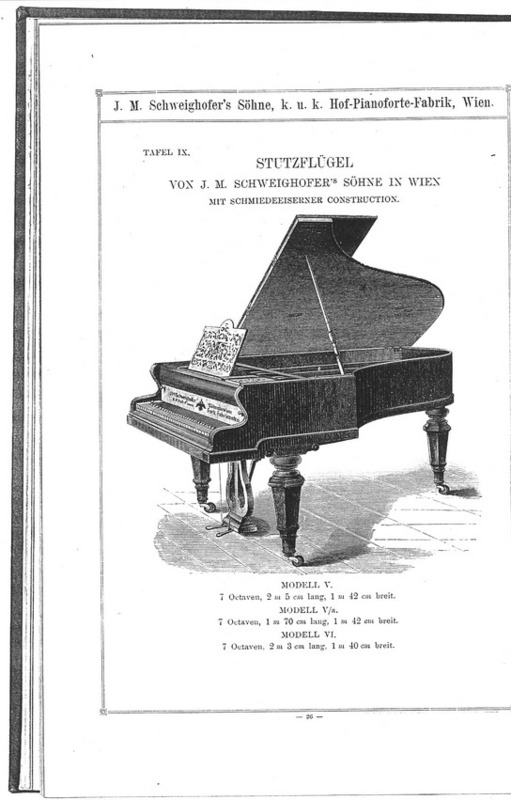 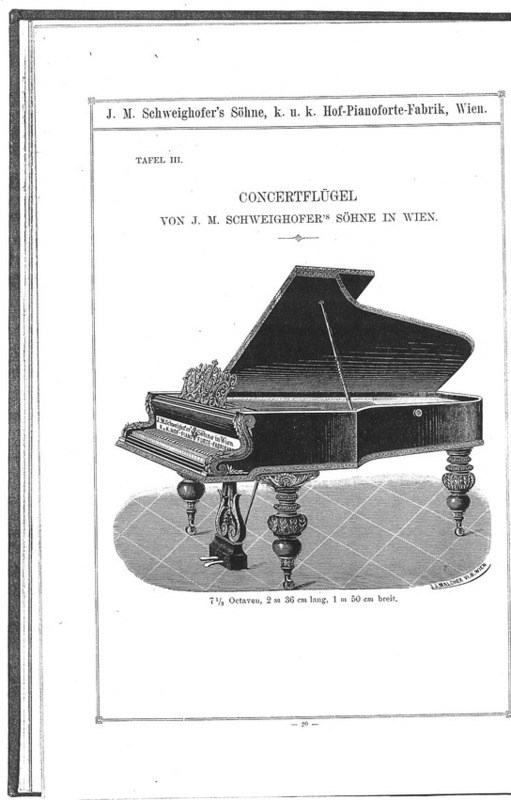 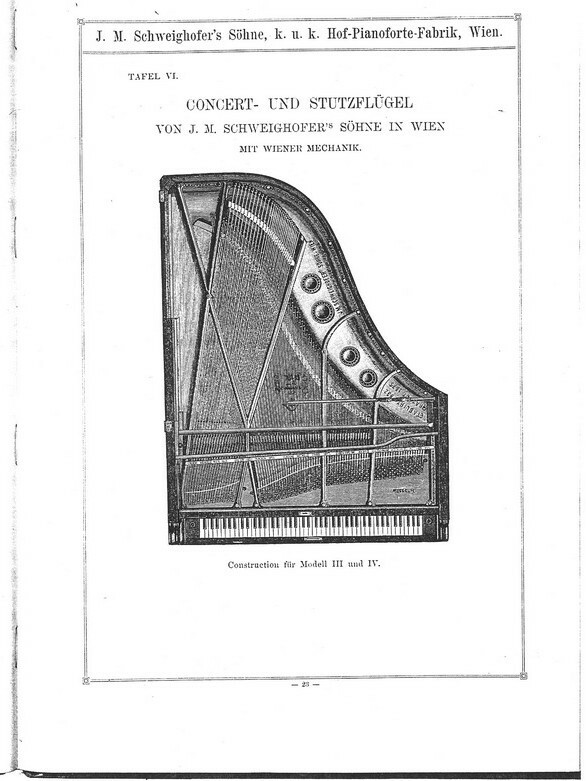 The catalogue includes a history of the company, drawings and descriptions of various grand and upright piano models, as well as action drawings and images of the factory. 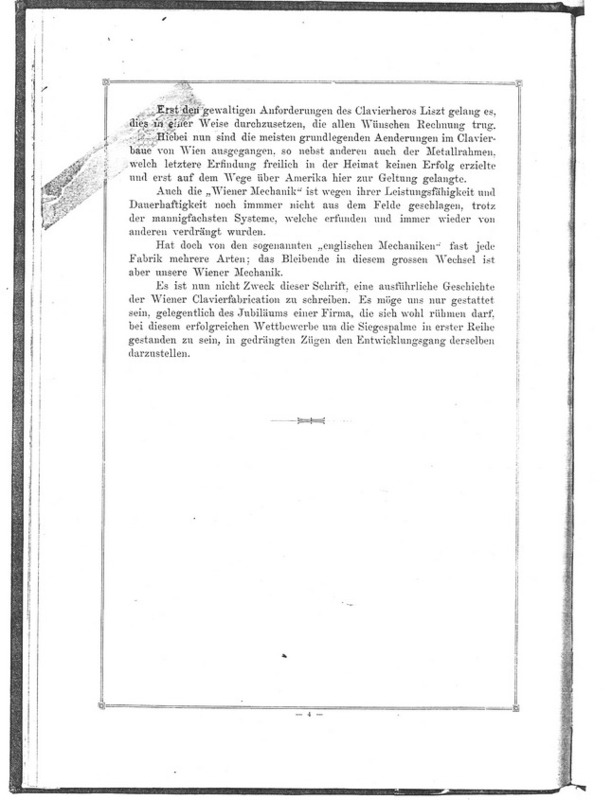 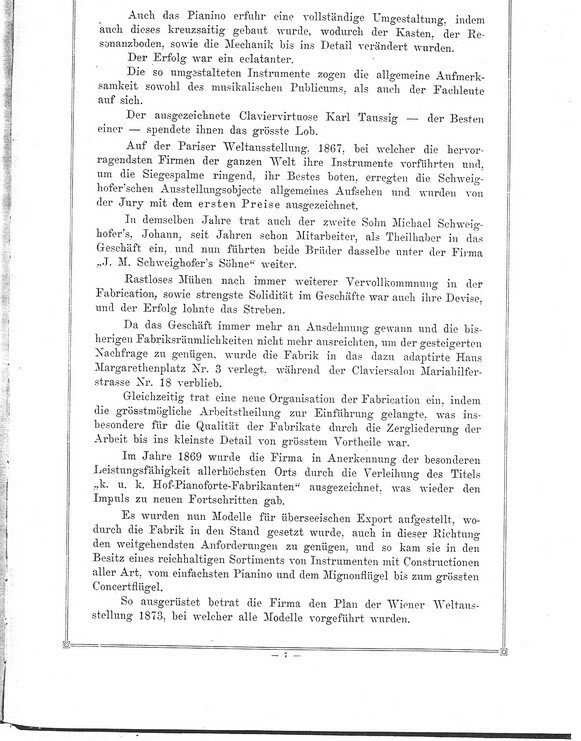 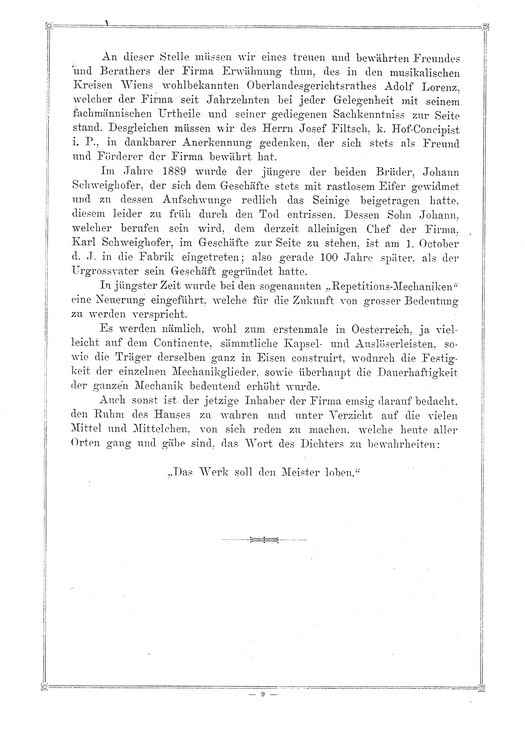 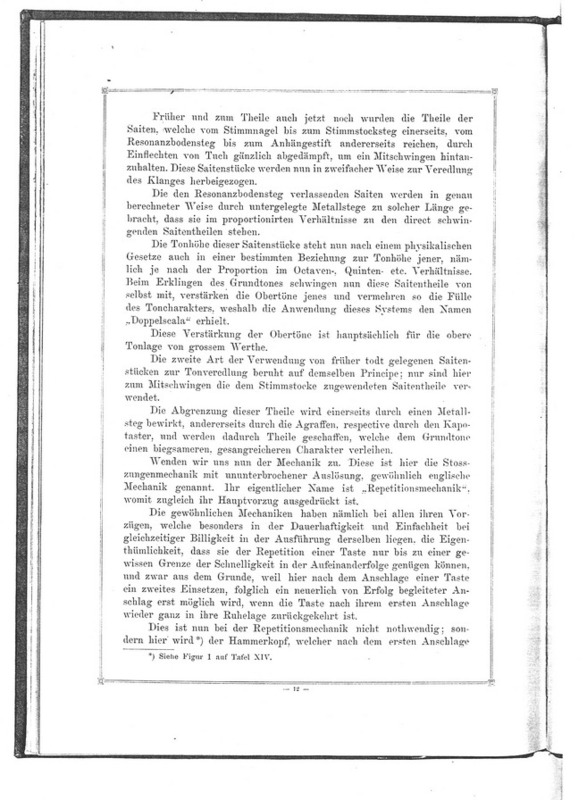 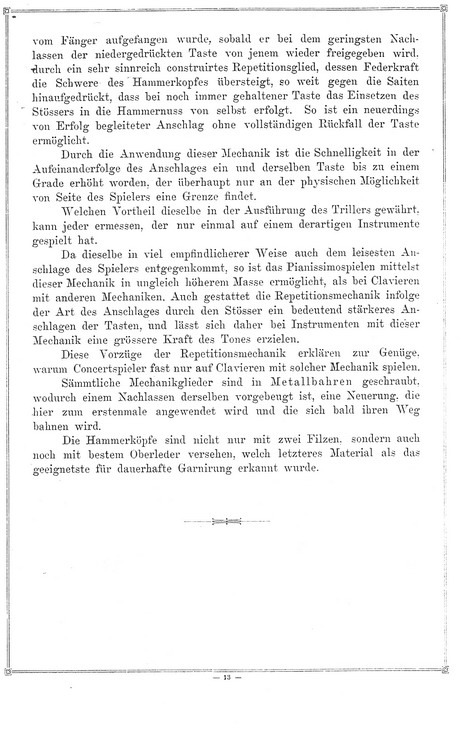 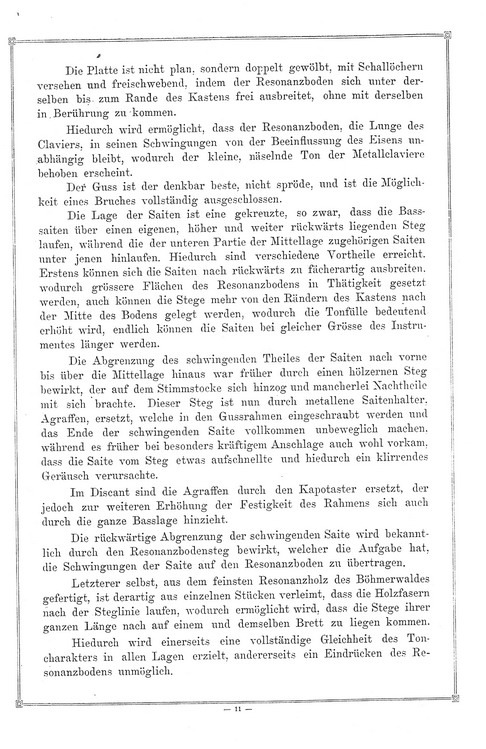 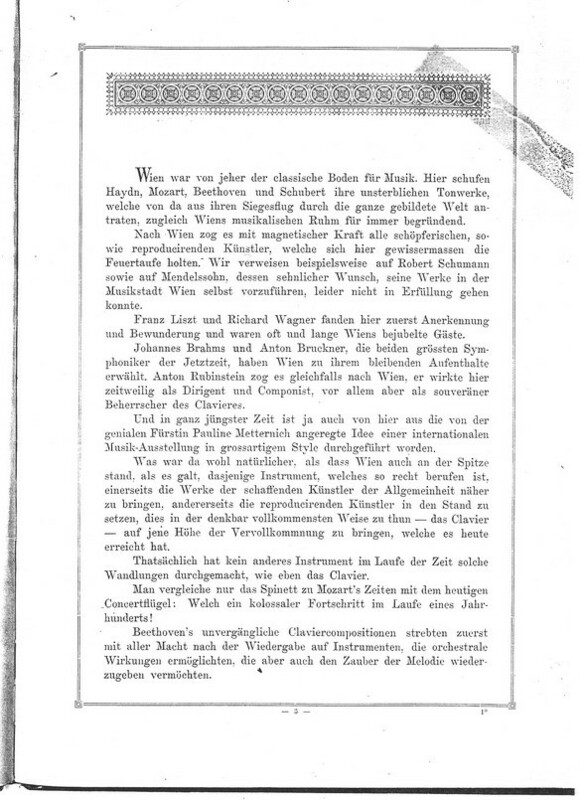 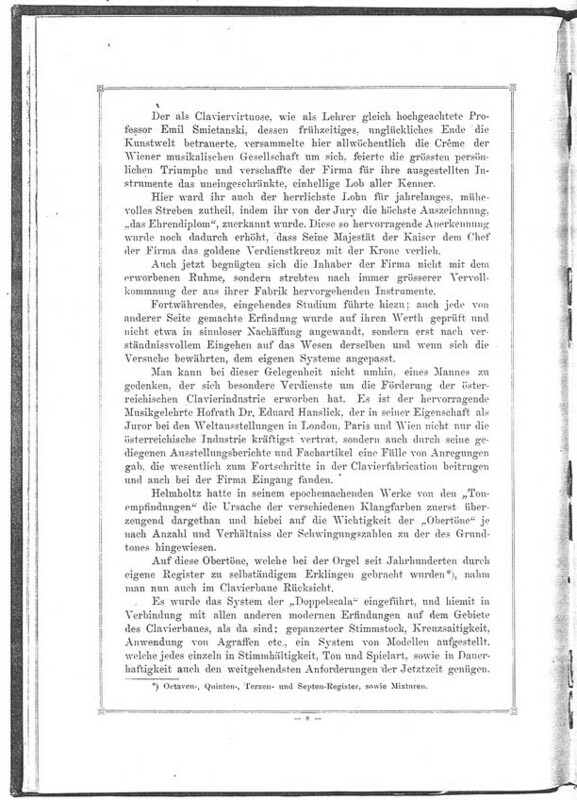 The text is in German. 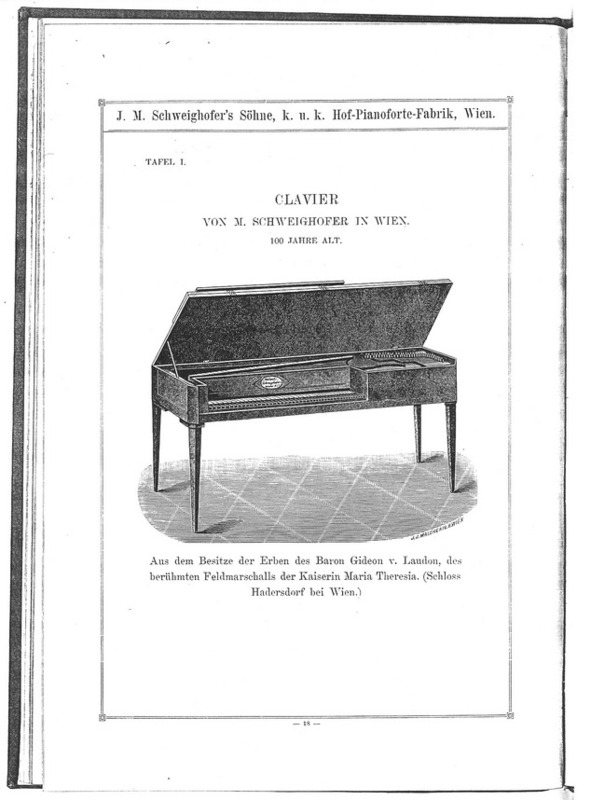 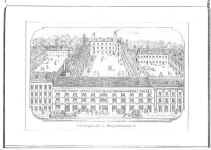 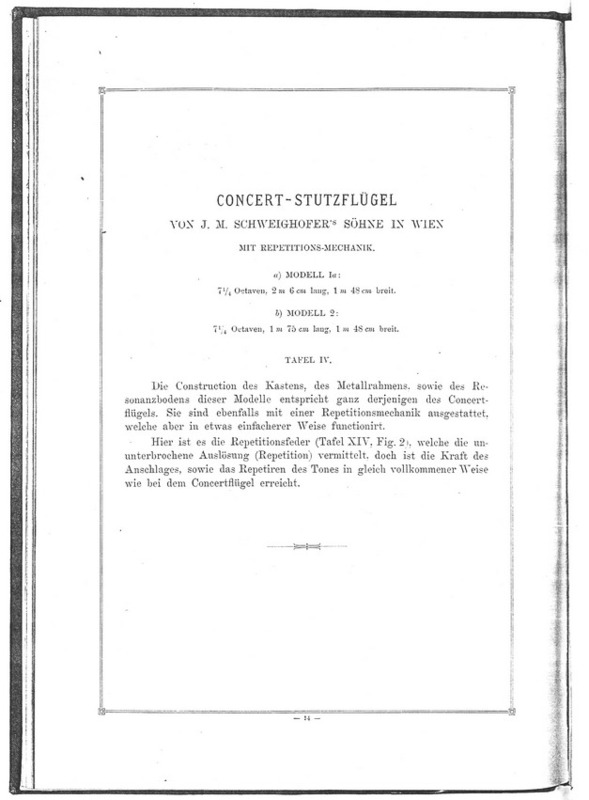 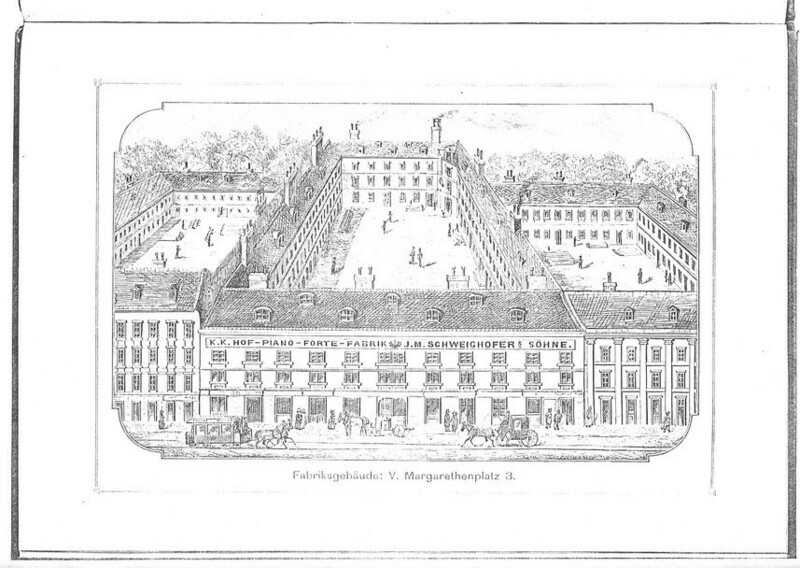 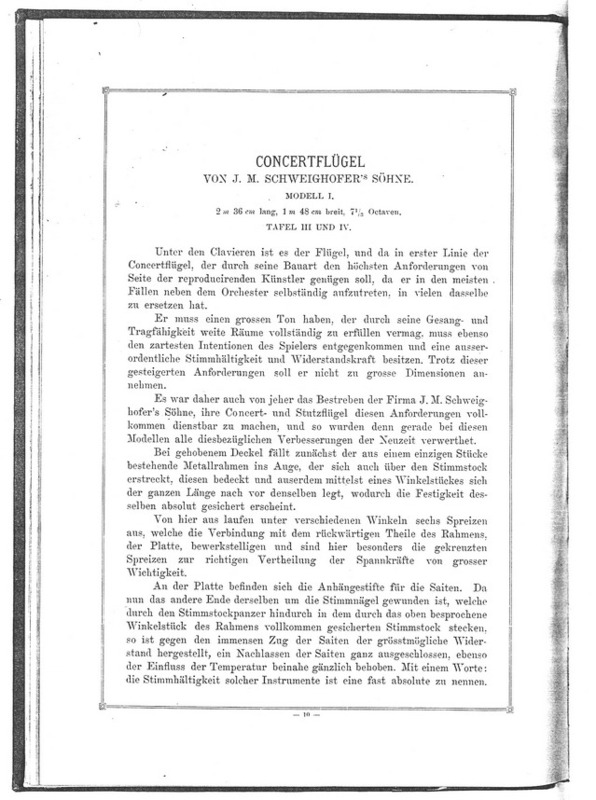 The catalogue was graciously provided by Alexander Langer from Klagenfurt, Austria. 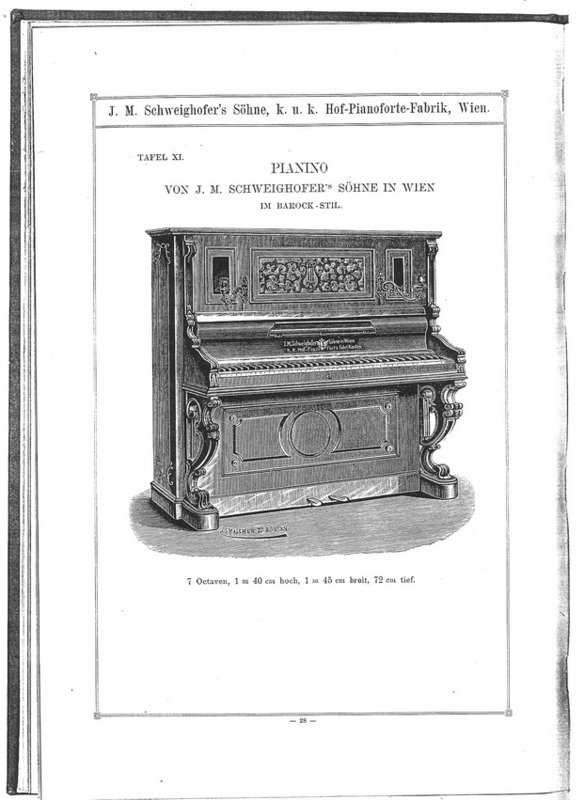 He can be contacted for more information at alexander@klavierhaus-langer.at .